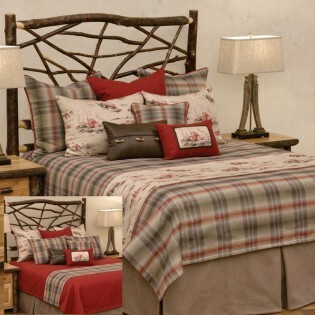 The Cimarron Coverlet Bedding features a gentle red, gray, and taupe plaid, with the reverse side boasting a bold Ruby Red to easily and dramatically change your bedroom’s look. Each set is complemented with reversible pillow shams in fabric which has a watercolor cabin design. 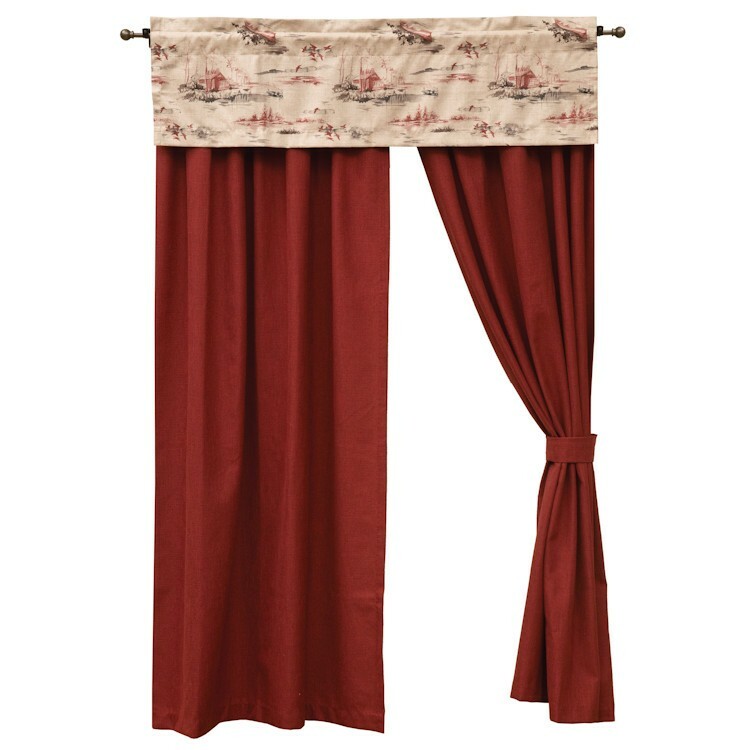 Deluxe Sets include three euro shams (2 Reversible Cimarron Plaid and 1 Ruby Red) complete your bedding ensemble. 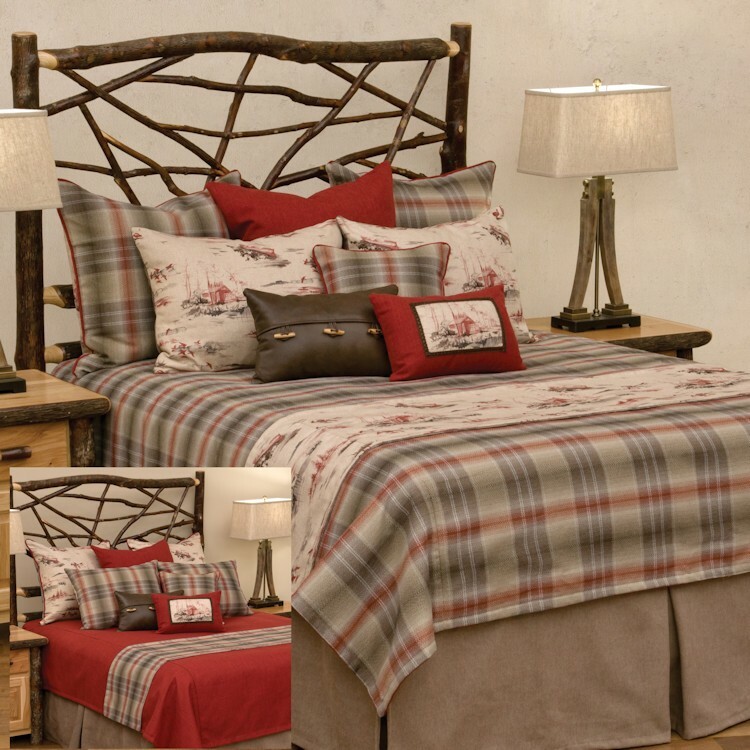 The Cimarron Coverlet Bedding features a gentle red, gray, and taupe plaid, with the reverse side boasting a bold Ruby Red to easily and dramatically change your bedroom’s look. 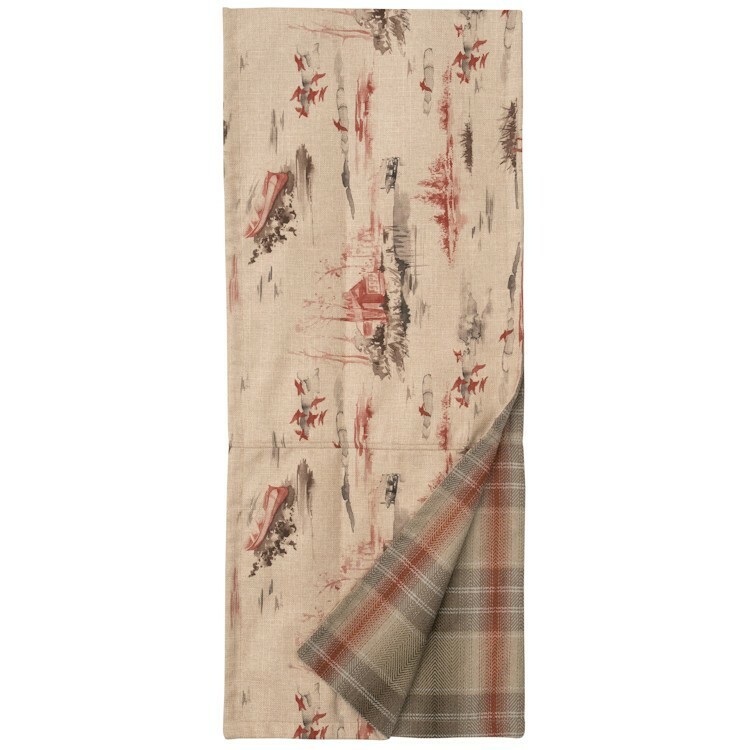 Each set is complemented with reversible pillow shams in fabric which has a watercolor cabin design. 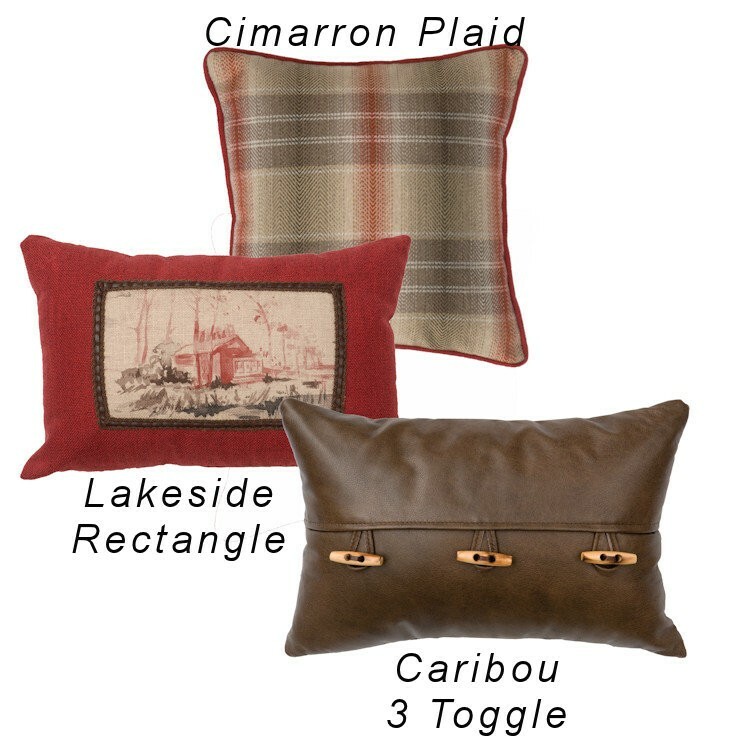 Deluxe Sets include three euro shams (2 Reversible Cimarron Plaid and 1 Ruby Red) complete your bedding ensemble.